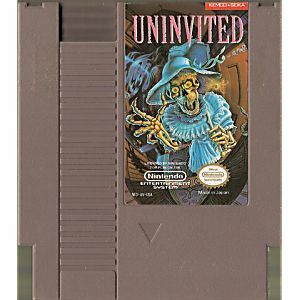 Uninvited original NES Nintendo Game cartridge only - Cleaned Tested and Guaranteed to Work! 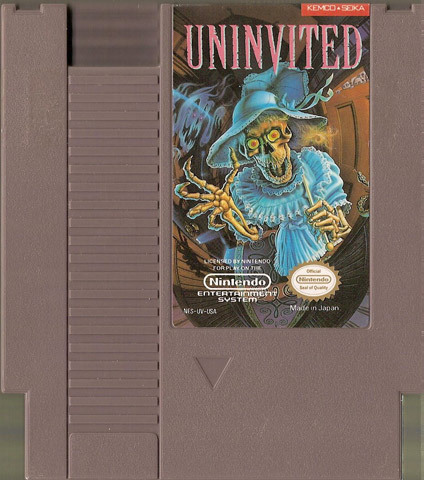 Uninvited is a Creepy Point 'N Click Adventure Game in the same style as other NES titles such as "Shadowgate" and "Deja Vu." It's a time eater and a fun early horror game (if you like point and clickers). 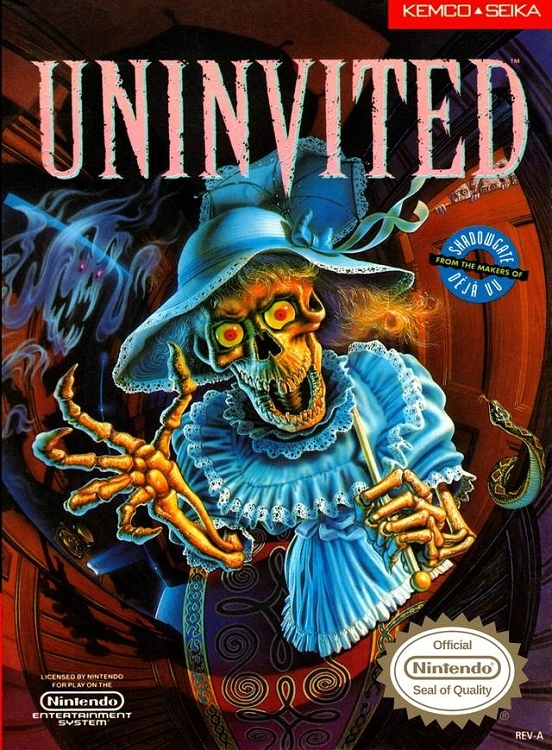 Although not a good as Shadowgate and Deja Vu (in my opinion) it's a worthy addition to any collectors' library. 4/5 stars.